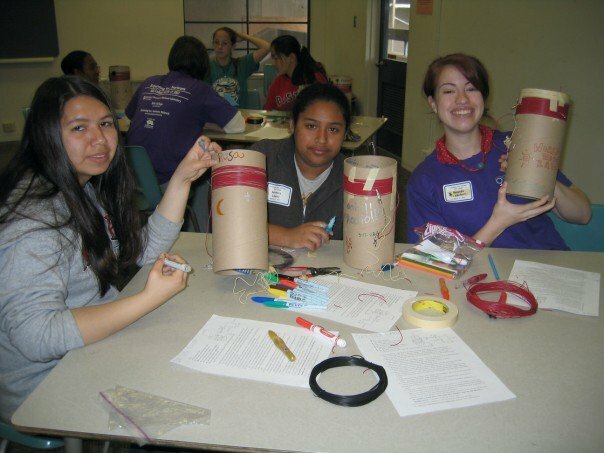 Working with the UC Berkeley Society of Women in the Physical Sciences (SWPS), I organized and volunteered at a workshop for the Expanding your Horizons conference at Mills College. The goal of our "Build your own radio" workshop was to introduce participants to basic concepts of electronics and the electromagnetic spectrum through a fun, hands-on project. 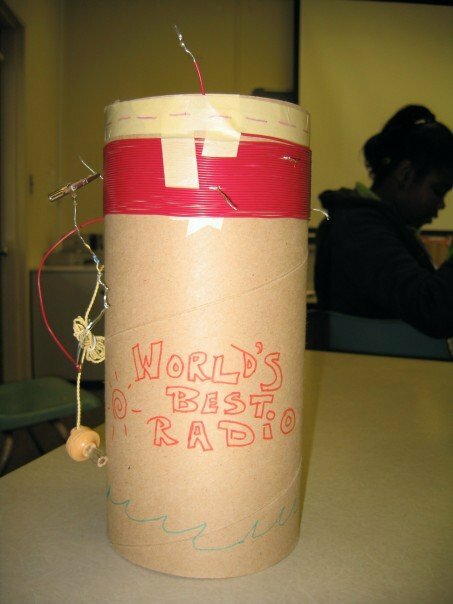 We helped each student build a working AM radio out of nothing more than a resistor, diode, earpiece, alligator clip, hookup wire, and a cardboard tube. Photos courtesy of Amanda Velázquez.